Port Hamble Marina on the River Hamble lies at the centre of the South coast’s sailing scene. 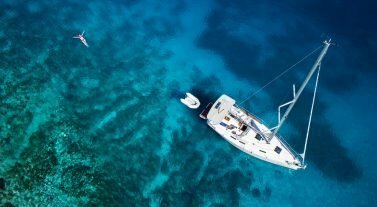 The ideal location for thousands of sailors, race enthusiasts and day cruisers to converge to experience a vibrant atmosphere of fun and camaraderie. Boasting over 30 yachts to choose from including brand new 2019 additions to the fleet including a Dufour 460 Grand Large. 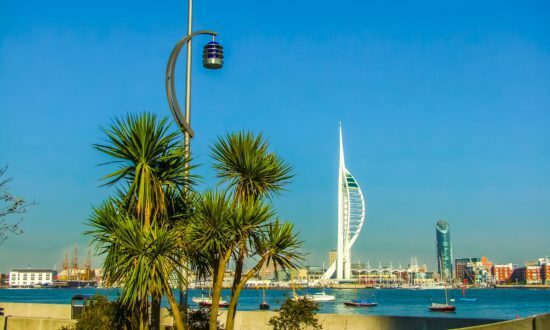 Cruise down to the Solent and around the Isle of Wight, or set a course to the east and explore Portsmouth and the sheltering embrace of Chichester Harbor. To the west, you’ll find Buckler’s Hard on the Beaulieu River. The adventurous and wild should enjoy some spectacular sailing along the Cornish Coast. After your jaunt, return to picturesque Hamble village and share your stories a cozy pub. Day 1: Collect your boat at Port Hamble Marina and enjoy your comprehensive handover with a member of staff. There are plenty of pubs, bars, and restaurants within an easy walking distance from the marina. Pick up your provisions in the village. Day 2: Enjoy a day’s sail around the Solent and then tie up on the pontoons opposite the Folly Inn and enjoy a delicious meal and live music. Dancing on the tables is encouraged! Make up for a big night by enjoying a quiet lunch on anchor in Osbourne Bay. Day 3: Visit Yarmouth’s delis and shops, and explore the local attractions. Lunch in town, or sail out through Hurst Narrows and anchor in Totland Bay and enjoy lunch on board. The Needles park has something for everyone including a chair lift ride for a unique view of this famous landmark. Salty’s Restaurant with its locally caught seafood is a must-try. Day 4: There’s so much to explore in Portsmouth Harbor: shopping, a multiscreen cinema, and just about every cuisine imaginable. See Henry VIII’s ill-fated Mary Rose in a brand new display at the Royal Navy Museum, and explore the HMS Victory. Berth in either Gosport Marina or Haslar Marina on the western side of the harbor, or at Gunwharf Quays if you fancy being in the thick of things. Day 5: Visit the Master Builder Pub in beautiful Beaulieu, go to the National Motor Museum, explore the New Forest on foot or just relax on a mooring buoy in river and watch the world go by. Day 6: Enjoy lunch on a mooring buoy in peaceful Newtown River – you might even see the seals catching their lunch if you are lucky. Then sail on to Cowes and moor up in Cowes Yacht Haven. 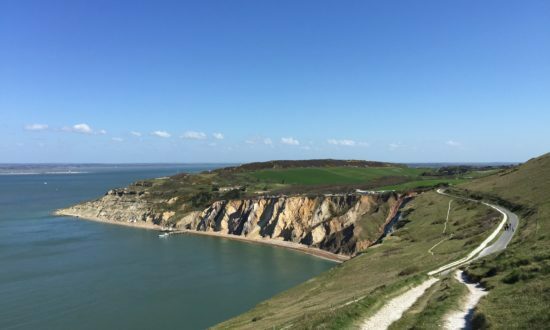 Cowes is a perfect hub to explore the Isle of Wight from. Locals attractions which are all just a bus or taxi ride away include Osborne House which was Queen Victoria’s favorite house in East Cowes, Carisbrooke Castle where King Charles I was imprisoned. For the younger members of the crew, Dinosaur Isle provides hours of exploration and fun. Day 7: Explore more of the Isle’s attractions at Port Hamble. Enjoy the shops on High Street after tackling the enormous full English breakfast. Then it’s back to base via your favorite lunch spot to hand back your boat. 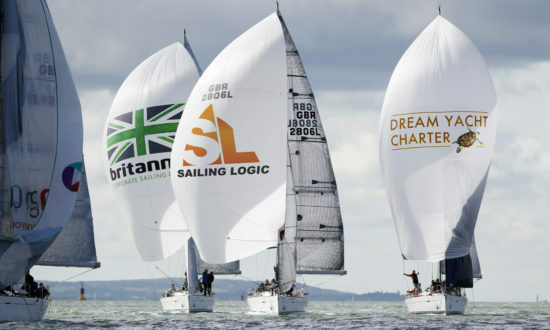 Day 1: Port Hamble – Collect your boat and enjoy an extensive briefing from our experienced staff. Day 6: Day 5 is a long day, so enjoy an early finish and explore beautiful Dartmouth. Day 9: The scenic estuary of Salcombe is known for its fresh locally caught shellfish. Try the Winking Prawn beach bar and barbecue. Day 11: Home of the Olympic sailing at the London 2012 Games, Portland is certainly a sailor’s paradise. Day 13: Return to Port Hamble. Toilets and showers are located under the Marina Office in Port Hamble Marina. You will require a pin number for entry, which can be obtained from the Marina Office. In the marina: Banana Wharf Restaurant, laundry, ice (from Marina Office) and a Chandlery Commercial centre.